Panasonic caused a splash in the blogosphere yesterday when it announced the world’s first consumer 3D camera, the HDC-SDT750, for the American market (release in October). 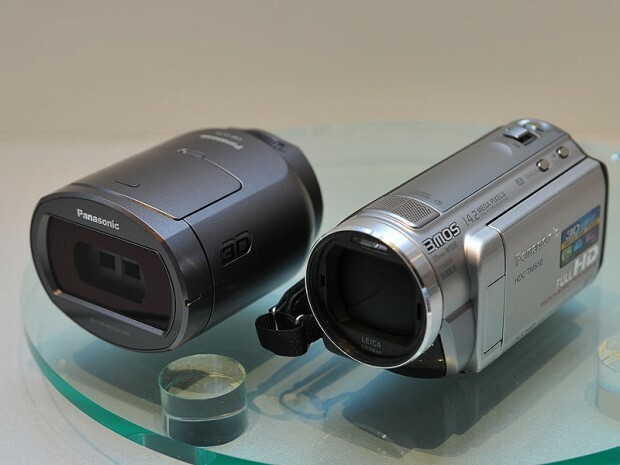 The device was announced [JP] today in Japan as well, but Panasonic made some changes. And it showed another model, too, the HDC-TM650 (pictured), which hasn’t been announced for other markets thus far. 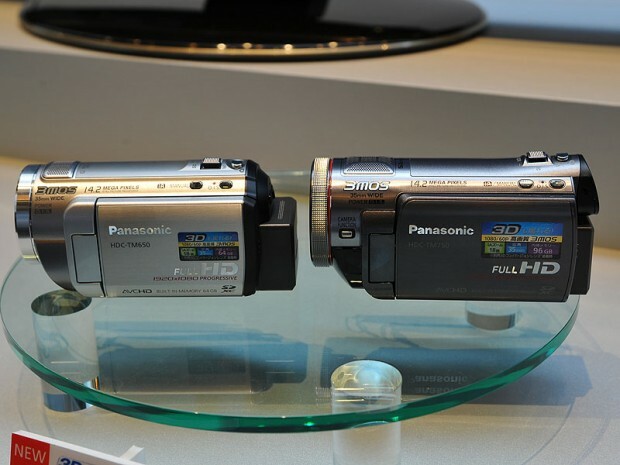 The Japanese version of the SDT750 (shown on the right in the pic below) comes with a whopping 96GB of internal memory, but on the flipside, Panasonic decided to sell the 3D lens separately in its home market. It will cost $1,800 ($400 more than the American model with the lens) and go on sale two months earlier, in late August. The 3D lens will set Japanese buyers back another $430. The HDC-TM650 is very similar to the SDT750 but comes with just 64GB of internal memory (instead of 96GB), a 2.7-inch screen (instead of 3 inches), and a stereo mic (instead of a 5.1 mic). At 388g, it’s lighter than its bigger brother (440g/including battery). It will hit Japanese stores in August, too (price: $1,480).